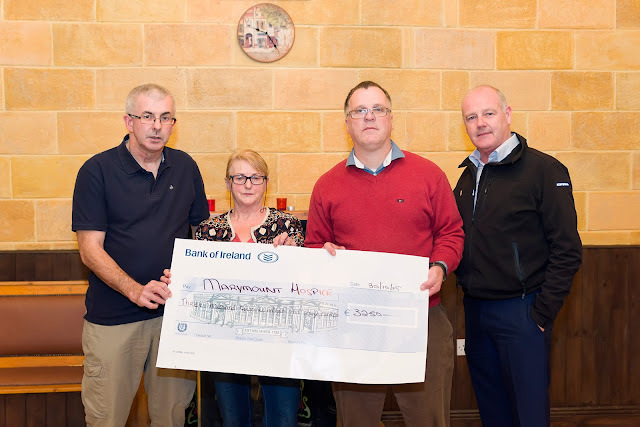 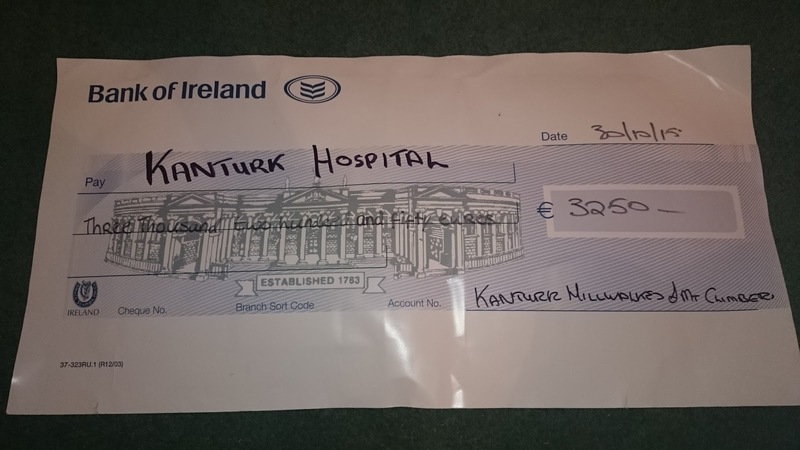 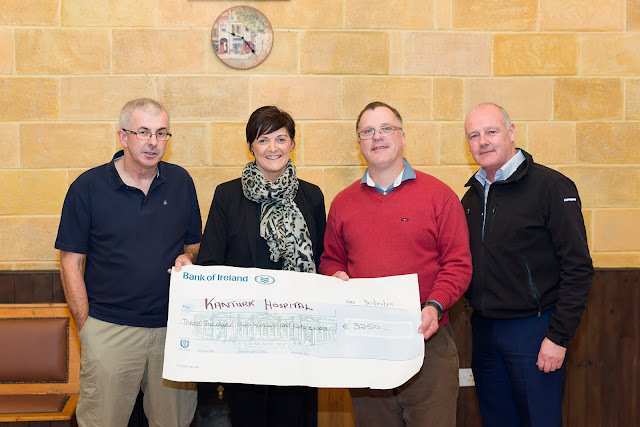 On Friday Oct 30th Kanturk Hillwalkers & Mountain Climbers represented by Padraig Breen, Ger Morrissey and Christy Mullane presented Cheques to Kanturk Hospital represented on the night by Sheila Clernon and Marymount Hospice represented by Claire McCarthy. 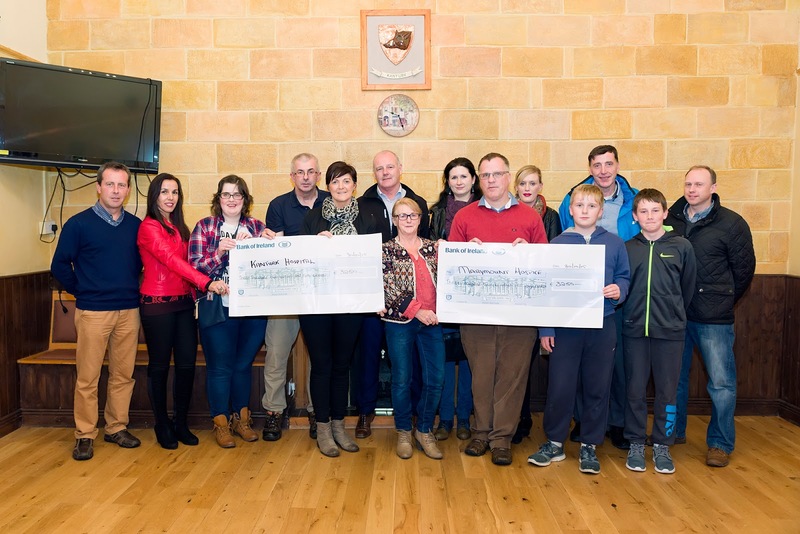 Other Climbers that attended were Jimmy Moore, Paola O'Connell, Niall Breen, Conan Crowley, Jer Linehan, Anna Ozimkowska, Dan Murphy and Roseann Heffernan. 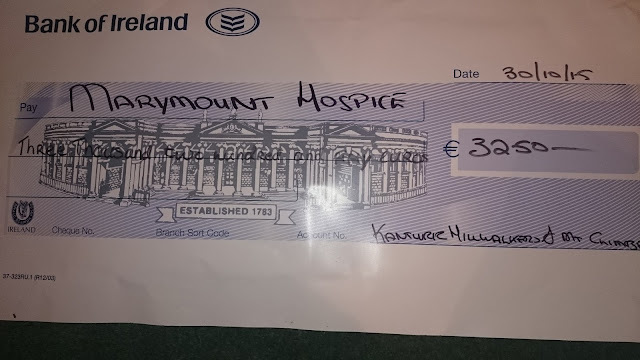 A total of €6500 was raised from the Climb which was evenly divided to both Kanturk Hospital and Marymount Hospice which are both worthy and well deserving causes and well worth us making a big effort to raise some money doing something we like doing especially as most times most of us are doing it in small groups where we really get the ' Buzz ' of doing it in a big group especially at that time of the year when the Winter is starting to close in on us, it is just a good way to finish off the year. Overall the whole event went off without any major glitches and hopefully we will be back again next year to raise some more money.